Yeah! Aufgrund des großen Erfolges der 3D-Wiederaufführung von Der König der Löwen mit rund 80 Mio. Dollar – in drei Wochen alleine in den USA – dürfte diese lange überlegte Entscheidung wohl bestätigt worden sein. 3D-Konvertierungen von Zeichentrick-Klassikern, sowie neu gerenderte Stereofassungen von CGI-Animationsfilmen werden den 3D-Spielplan ergänzen. Dass man an Die Schöne und das Biest arbeitet, war bekannt, immer wieder wurde die 3D-WA verschoben. Dass Arielle die Meerjungfrau als weiterer großer Klassiker der neueren Disney-Zeichentrickfilme dabei ist, verwundert ebenso wenig. Ganz besonders freut mich natürlich das 3D-ReRelease von weiteren Pixar-Filmen. Von 3D-Konvertierungstests von Ratatouille haben wir bereits gehört, doch der Ratten-Gourmetkoch muss wohl sein Dasein noch etwas länger flach fristen. Im Vorfeld des Monsterwelt-Prequels Monsters University wird es eine Wiederaufführung der Monster AG in stereoskopischem 3D geben- ein Wiedersehen mit Boo! Und auch der erfolgreichste Pixarfilm nach Toy Story 3, Findet Nemo (weltweites Einspiel über 867 Mio. Dollar), wird mit seiner anrührenden Vater-Sohn-Roadmovie-Geschichte in den fantastischen Unterwasserwelten erneut auf unseren Leinwänden zu sehen sein, und diesmal stereoskopisch. Bisher ist die Mitteilung für den amerikanischen Markt herausgegeben worden, das deutsche Pendant lässt da sicher noch einige Zeit auf sich warten. So gibt es natürlich auch noch keine deutschen Starttermine für die 3D-Rereleases. Wenn der König der Löwen in 3D aber bei uns ab dem 10. November 2011 im Kino ebenfalls vorzeigbar läuft, sollte dem nichts entgegen stehen. Und? Seid ihr auch so begeistert wie ich? 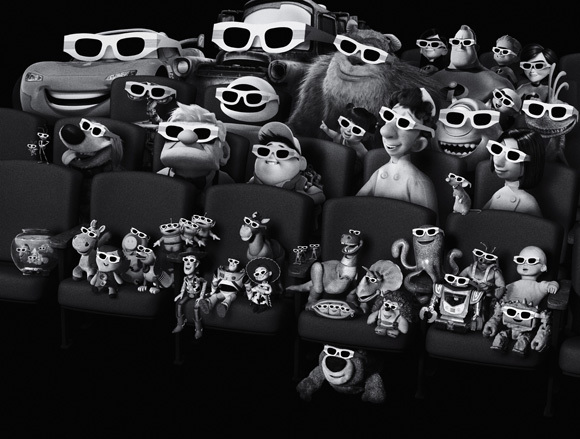 Alle Pixar-Helden freuen sich bereits auf die 3D-ReReleases. Originally released in 1991, Beauty and the Beast is a classic “tale as old as time” that follows the adventures of Belle, a bright young woman imprisoned in the castle of a mysterious beast and his enchanted staff, who must learn the most important lesson of all – that true beauty comes from within. Beauty and the Beast was the first animated film ever nominated for an Academy Award® for Best Picture, earning an additional five Oscar® nominations and winning two. It has grossed $380.4 million worldwide. First released in 2003, Disney•Pixar’s Finding Nemo takes audiences into a whole new world in this undersea adventure about family, courage and challenges. When Marlin, an overly cautious clownfish living in the Great Barrier Reef, helplessly watches his son get scooped up by a diver, he must put aside his fears of the ocean and leave the safety of his coral enclave to find Nemo. Buoyed by the companionship of Dory, a forgetful but relentlessly optimistic fish, Marlin finds himself the unlikely hero in a seemingly impossible land-and-sea rescue. 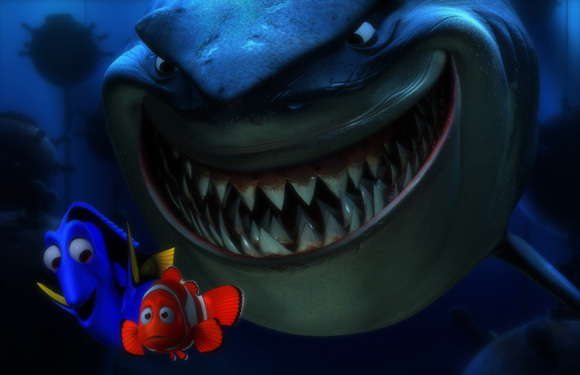 Finding Nemo won an Academy Award® for Best Animated Feature and was nominated for three others. With a total of $867.6 million worldwide, it was the second highest-grossing film of 2003. In 2001, Disney•Pixar released Monsters, Inc. Lovable Sulley and his wisecracking sidekick Mike Wazowski are the top scare team at Monsters, Inc., the scream-processing factory in Monstropolis. But when a little girl named Boo wanders into their world, it’s up to Sulley and Mike to keep her out of sight and get her back home. Monsters, Inc. shattered every DVD-era home entertainment sales record when 11 million DVD/VHS copies were sold during its first week of release. It won an Academy Award® for Best Song and has grossed $526.9 million worldwide. Released in 1989, The Little Mermaid, stars Ariel, a fun-loving and mischievous mermaid, off on the adventure of a lifetime with her best friend, the adorable Flounder, and the reggae-singing Caribbean crab Sebastian. But it will take all of her courage and determination to make her dreams come true and save her father’s beloved kingdom from the sneaky sea witch Ursula. One of the most celebrated animated films of all time, The Little Mermaid was nominated for three Academy Awards®, winning two. It has grossed $228.9 million worldwide. For more than 85 years, The Walt Disney Studios has been the foundation on which The Walt Disney Company (NYSE: DIS) was built. Today, the Studio brings quality movies, music and stage plays to consumers throughout the world. Feature films are released under four banners: Walt Disney Pictures, which includes Walt Disney Animation Studios and Pixar Animation Studios; Disneynature; Marvel; and Touchstone Pictures, which includes the distribution of live-action films from DreamWorks Studios. Original music and motion picture soundtracks are produced under Walt Disney Records and Hollywood Records, while Disney Theatrical Group produces and licenses live events, including Broadway theatrical productions, Disney on Ice and Disney LIVE!. Gerold Marks http://digitaleleinwand.de/wp-content/uploads/2014/10/DigitaleLeinwand-Logo.png Gerold Marks2011-10-04 22:43:312011-10-04 22:43:31Disney bringt weitere Klassiker als 3D-ReRelease ins Kino: Die Schöne und das Biest, Arielle die Meerjungfrau, Pixars Findet Nemo und die Monster AG! Pixars 3D-Animationshit Toy Story 3 durchbricht die Milliarde an der Kinokasse!